Oral sedation dentistry is ideal for those who have a high level of anxiety or fear about the dentist. Through the use of oral sedation, patients are able to relax and receive necessary dental care and treatment. Patients remain awake throughout their treatment, but will not feel any pain and will likely remember very little about their dental visit. Oral sedation is a viable option for patients with high anxiety, who are too young to follow direction or to remain still during their treatment, for patients with special needs, or for those undergoing extensive dental treatments. 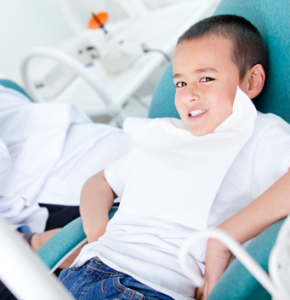 Oral sedation is safe for both children and adults. Oral sedation requires the patient to take a pill about an hour before the procedure. The specific dose and kind of medication can vary. The patient’s overall health, type of dental procedure, and their level of anxiety will all be taken into consideration when determining the best oral sedative. Anxiety about the dentist can prevent someone from receiving proper dental care, and oral sedation may provide the answer. Feel free to contact our office to discuss your options for sedation dentistry.